Coming To It : Selected Poems - ubiq bookshop: the best place to buy books! Sam Hunt is New Zealand's best-known and, arguably, best-loved poet. Coming to It: Selected Poems is the latest collection of Hunt's poems to be published. As always, Hunt's unflinchingly honest, elegiac and moving poems roam around familiar themes of family, friends and lovers; landscapes and the play of the weather; and the challenges of ageing and mortality. 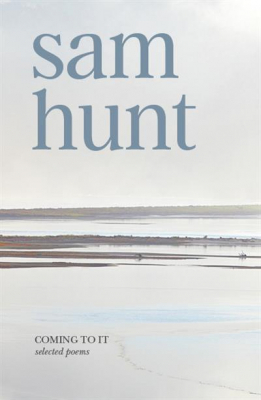 Sam Hunt has had a remarkable and enduring career, and Coming to It is a fitting tribute to the quality of his poems. Featured in the August 2018 Great Reads newsletter.